A powerful op-ed in yesterday’s Jakarta Post by Ristian Atriandi Supriyanto from ANU indicts the 2015 Indonesian Defense White Paper for its “superficial” treatment of Indonesia’s maritime security challenges. But more importantly, it identifies a disturbing emphasis on bela negara as central to Indonesia’s strategic defense outlook. 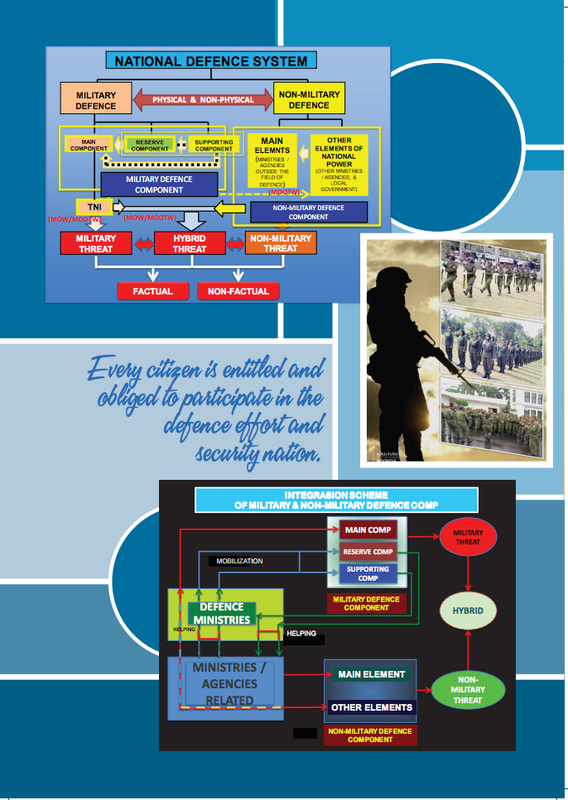 National defence is managed in a total defence system to achieve its national goals. The system is essentially a defence involving all citizens in accordance with their roles and functions. The involvement of every citizen in national defence is in-line-with the 1945 Constitution of the Republic of Indonesia. A State Defence Programme, or defined as Bela Negara programme, is implemented within the next decade and expected to reach 100 million citizens who are militant. This programme will continually develop the needs of national defence. This atrocious graphic—once you look past its atrociousness—summarizes how defense policy involves ordinary Indonesians. Watch this space for more on what bela negara means for Indonesian democracy.